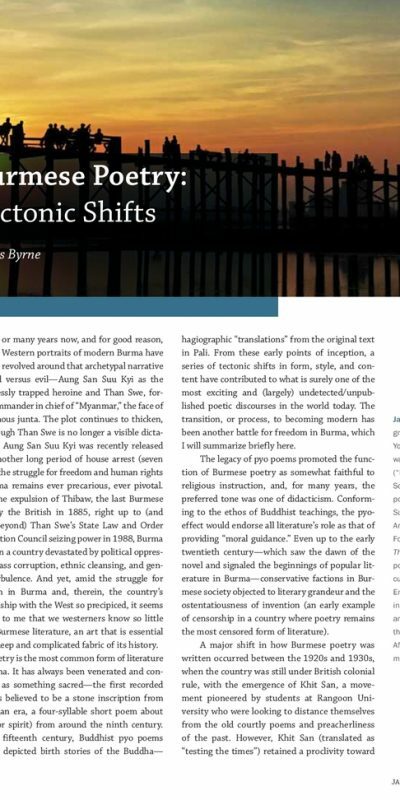 Zeyar Lynn’s administering of language poetry in Burma is often confused with the term ‘postmodern’, and the hybridization or pulling apart of these two delicate strands could yet bring about the next shift in a series of movement that have brought Burmese poetry into the twenty – first century. This could be the most exciting shift of all and unwittingly, perhaps, the political arena is not exempt from influencing change in this case. 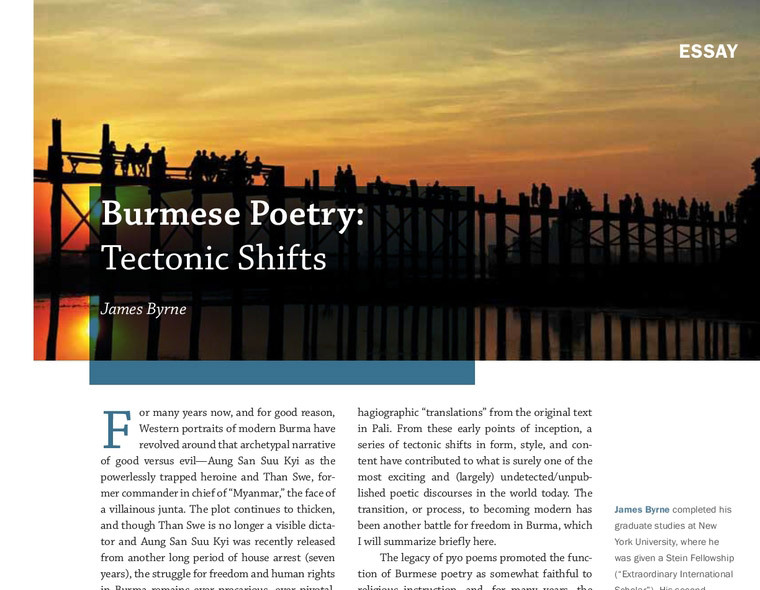 As poetry has taught us throughout history , in many countries, from the Russian moderns to the “Misty” poets of China, the more inventive poetry is in honoring and transforming tradition – while avoiding the political censor –– the more extraordinary it can be. © 2019 zlkontempo. All Rights Reserved.